What are the odds that we'd get two back to back brilliant kinetic sculptures in one day? 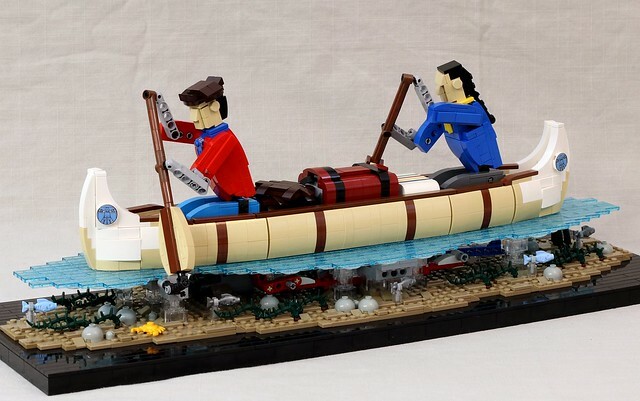 In celebration of Canada's 150th anniversary builder JK Brickworks built this amazing mechanical display of two fur traders canoeing in some distant northern waterway. Check out the video to see this in action.